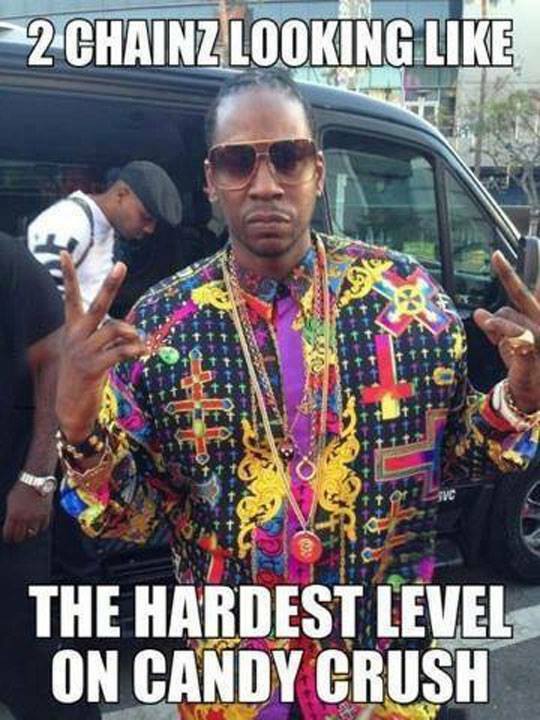 Picture of Rapper 2Chainz looking like the hardest level in Candy Crush Saga -LMAO! Someone tagged me in this Photo of Rapper 2Chainz and my oh my,I could not stop laughing. If you play Candy Crush, you will totaly get it. 2Chainz and his eccentric dress sense though. Like, who comes up with these memes. I noticed sometime last week the Kermit the frog memes had taken over IG. So so funny. Speaking of Candy Crush, this reminds me, I plan to do a Candy Crush Vs. Pet Rescue Saga post. Ever since my Aunt put me up on game about Pet Rescue, I have been getting this urge to do a comparison of the two games. I guess one day ill get the inspiration to write it. Till then.. I saw this meme a while back and it is still quite hilarious! LOL!